Minimum number of participants: 6 persons. Biking Viking supplies a support vehicle for this tour if requested (included in price). Some experience in off road riding required. This is a tour around the West Fjords of Iceland with a stop by at the western-most point of Europe. The West Fjords is the name of the large peninsula on the northwestern part of the country. The fjords are known for their mountainous and spectacular landscape, their sparse population and isolation due to hard communications by land. In spite of this the West Fjords can still be considered one of Iceland’s secrets and on this tour untouched nature, uninhabited fjords, waterfalls, birdlife, steep cliffs and tranquility can be enjoyed among many other things. 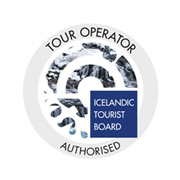 On the latter part of the tour we also take a sneak peek into the highlands and finish off by visiting Iceland’s most popular tourist attractions that form a part of the Golden Circle (Gullfoss waterfall, Geysir and Thingvellir National Park). Day 1: Welcome dinner with the guide in the city center. Day 2: Heading west we ride the fjord which is often referred to as the motorcyclist’s paradise; Whalefjord. We will have lunch in the small town of Borgarfjordur, where those who are interested in the Viking heritage saga, can have a look around the Settlement Center. 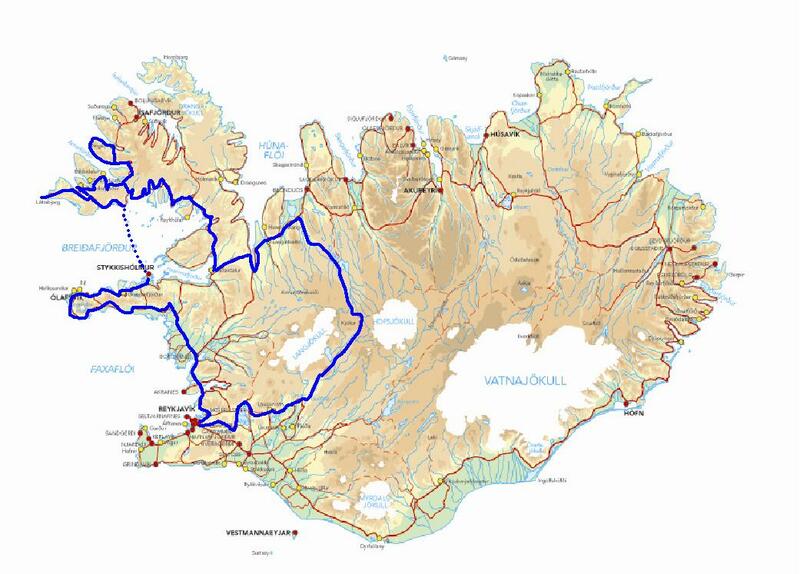 We then ride out to Snaefellsnes peninsula, possibly best known for it’s supposedly healing, mystical, but sadly, melting rapidly glacier Snaefellsjokull, which sits quietly at the end of the peninsula. We ride both on paved roads as well as dirt roads along the peninsula and around the glacier and capture the energy and magnificent scenery. We spend the night on the peninsula in a place whose restaurant specializes in fish dishes. Day 3: After breakfast we ride straight to the beautiful village of Stykkisholmur where we take a ferry and sail in between hundreds of little islands, all the way over to the West Fjords. We ride to the highest cliff in Iceland and the western-most point of Europe, Latrabjarg. The cliffs of Latrabjarg are the habitat of millions of birds of different species. We ride along a few fjords until we reach Bildudalur where we spend the night. Day 4: This day can be called “Fjord-day” for it will be dedicated to riding from one fjord to the other, taking in the nature, the atmosphere, the people and as much of what the West Fjords have to offer. We will end this day in Reykjanes, located in one of the fjords. 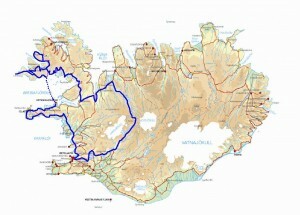 Day 5: From Reykjanes we take quite a long and climbing mountain route called Steingrímsfjardarheidi. Icelandic folk tales imply that the troll Kleppa originally made a walking path where the road lies now, with the help from her horse Floki. This route is often blocked during winter due to hard weather conditions and snow. After coming down from the mountains we take a small detour and stop by in the very small village of Drangsnes. We will say our goodbyes to the Westfjords and head inland riding through the countryside until we reach our destination for the night, the farm-hotel Hraunsnef. Day 6: On our last day of riding we head further inland crossing a part of the highlands to enjoy the unique and sometimes alien landscape. The roads out here are mostly gravel. We stop at Gullfoss-waterfall and at the geyser Strokkur (active geyser just a few meters from the famous Geysir, spouting every 10 minutes). Our last stop, before arriving back in the capital, will be at Thingvellir National Park, which is a site of cultural, historical and geographical importance known for it’s beautiful and unique landscape. We arrive in Reykjavik in the afternoon and have a farewell dinner in the heart of town. Bikes, accommodation, guide, support vehicle and driver, third party insurance, fuel, refreshments, breakfast, lunch and dinner, airport pick-up and drop-off. Personal travel insurance. Alcoholic beverages. Alternative tours. Flight. Tips. About 1350 km of which around 500 are on gravel roads and highland roads.